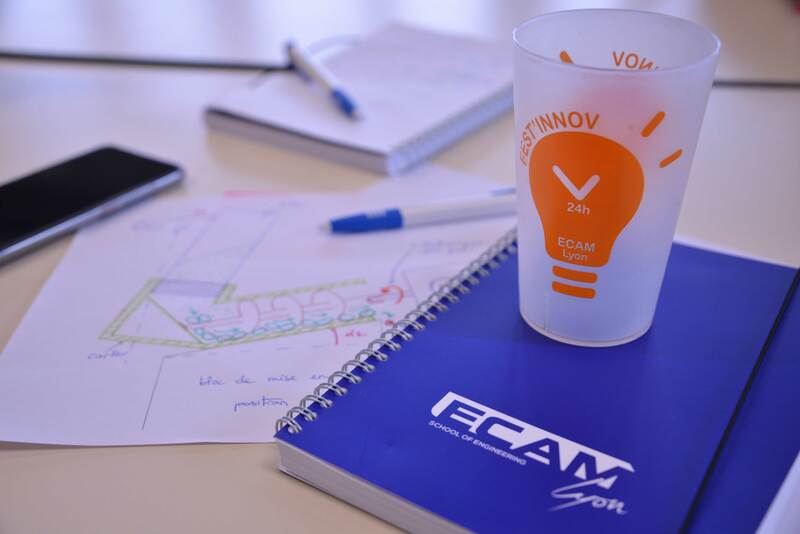 On 22 and 23 November 2018, ECAM Lyon’s major student/company innovation challenge celebrated its 10th anniversary. The Grand Prize for this 10th edition was awarded to students on the Alten team. Fest’Innov #10 brought together some 300 students, 24 companies, 30 innovation topics, 24 hours of non-stop brainstorming and a 2-minute pitch to win over the judges. 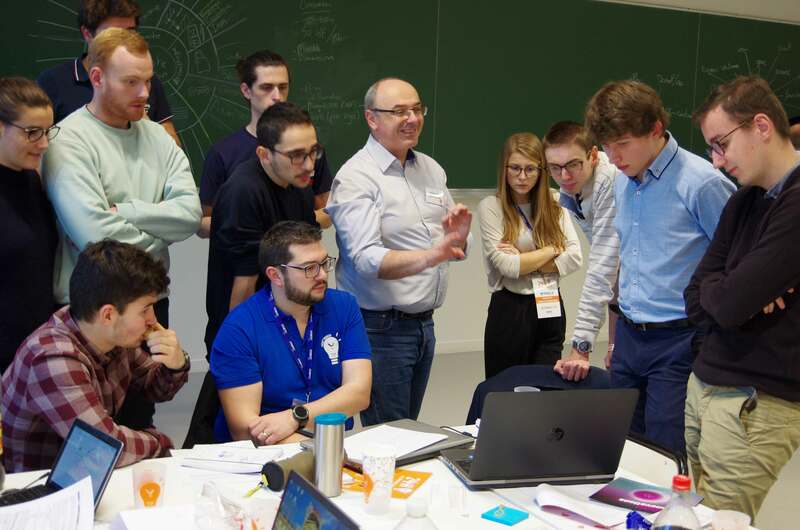 The participating students came from different schools and various fields of study: up-and-coming engineers from ECAM Lyon worked with students from MADE iN Management School and the Martinière Diderot Design School. This wide variety of profiles enriched the teams with an invaluable multidisciplinary perspective. The Fest’Innov format is one of a kind. It shakes up standard teaching conventions and immerses students in an innovation process that is very different from what they experience in the classroom. A morning of conferences on the topic of innovation kicked off the 2019 edition, with talks by Waoup (“reinventing the world”), In&Motion (wearable airbag systems for athletes) and the La Poste group. The challenge began on Thursday 22 November at 1:00 pm: each of the 30 teams discovered the topic (proposed by a company) they would be working on day and night for 24 hours. 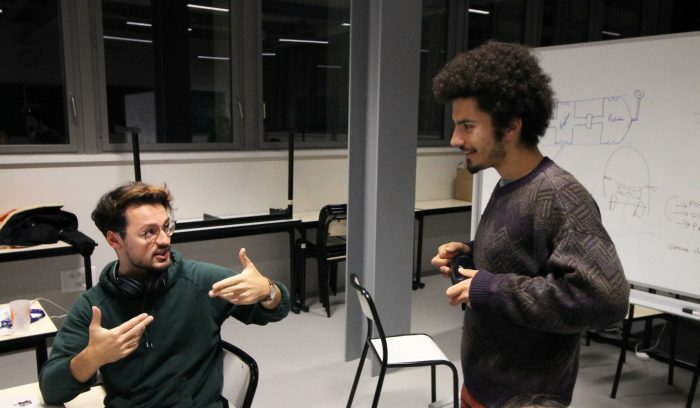 After an initial brief by the company, the participants’ creative juices began flowing in abundance. With support from innovation coaches and expert teaching staff, the students benchmarked, brainstormed, tested, challenged their ideas and pushed their imagination further, while working at a brisk pace in order to meet the tight deadline. As night fell, the atmosphere became more laid back, with two relaxing tai-chi sessions and foosball games to blow off some steam. Nonetheless, participants had to burn the midnight oil, working all through the night. On Friday 23 November, the teams compiled their results to send their deliverables to the companies. Each team made a 2-minute video to win over the panel of judges, composed of professionals from various fields. At 1:00 pm, a bell rang signaling the end of the challenge, and projection of the pitch videos began. Despite their fatigue and lack of shut-eye, all of the students impatiently awaited the culmination of Fest’Innov #10 with the announcement of the winning team and the awards ceremony. In 10 years, hundreds of companies big and small from various sectors have taken part in Fest’Innov. This innovation marathon is a source of inspiration and value for companies, some of which come back to campus to take part every year. 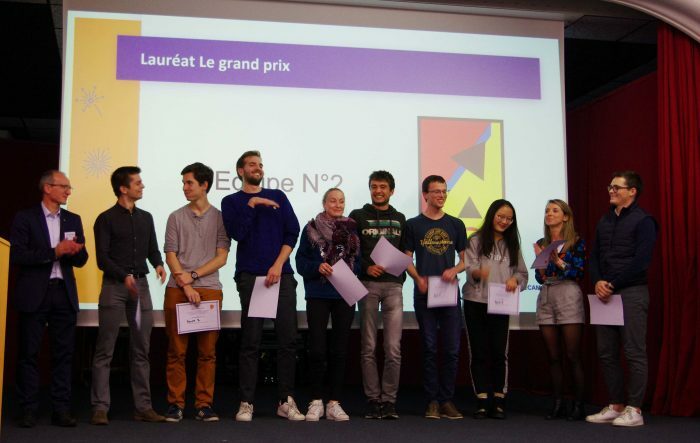 For this 10th edition, the following 24 companies – large groups, SMEs and startups – came to challenge this year’s crop of talented students: Alstom, Alten, Caisse d’Epargne, Eden Fruit, EFI Automotive, Framatome, GRDF, HEF, JTEKT, Kiwifab, Legrand, Manitowoc, Maped, Monnet-Sève, Navya Tech, Plastic Omnium, Profalux, Segula Technologies, Somfy, TSO Catenaires, UTC, Vesuvius, Volvo and XPO Logistics. Evaluated jointly by the participating companies, the coaches and the panel of judges, the teams were assessed based on several criteria including the feasibility of the proposed solution, group dynamics and the video pitch. See all the photos from the Fest’Innov 2018 challenge. See the slideshow of the 2018 edition of the student innovation challenge.